Xi Jinping, China’s new Party head, will launch a massive “rectification” campaign in spring to root out corruption, according to reports circulated after the Chinese Communist Party’s 18th Congress, with vice premier and new head of the Central Commission for Discipline Inspection (CCDI) Wang Qishan leading the effort. Local anti-corruption authorities in different regions have already sacked about a dozen corrupt officials at an unprecedented rate within 20 days, according to state reports. Xi’s planned campaign is said to be the largest Party rectification movement since the Yan’an Rectification in the early 1940’s before the regime took power, according to a Hong Kong Economic Times report. That movement caused over 10,000 deaths, and cleared the path for Mao Zedong’s dictatorship, the report said. Ren Jianming, director of the School of Public Policy and Management at Tsinghua University, told the Economic Times that Xi will bring forth concrete anti-corruption strategies and measures possibly early next year at the Plenary Session of the CCDI. 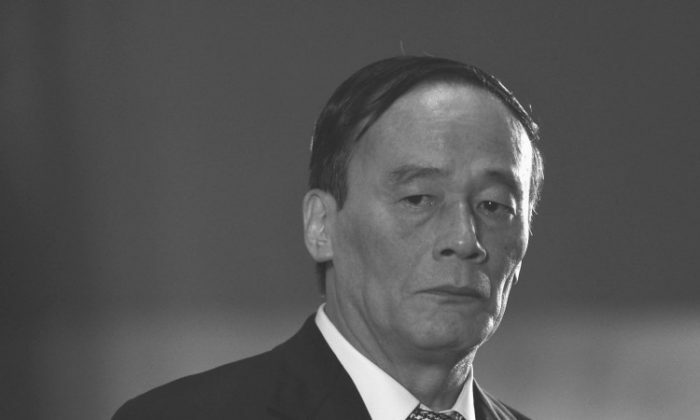 Several media have reported that Wang Qishan’s new appointment is a mismatch of his talents since his background is in economic and financial matters. However, he is said to have played the role of “firefighter-in-chief” in the past. Some Chinese media have also described him as a capable and aggressive official who is perfect for the job. Hong Kong’s Ming Pao Daily News and Apple Daily said the reason Xi picked Wang as the new anti-corruption czar is to protect the princelings’ vested interests. As Wang has a deep relationship with the princelings, the rich and red families will feel safe. Some scholars and commentators are concerned about the nature of the campaign. Professor Hu Xingdou from Beijing Institute of Technology told the Hong Kong Economic Times that while an anti-corruption campaign is very necessary in today’s China, the leaders should avoid using it to serve political purposes. If the movement aims to establish personal reputation and status, it will be a backward move and bring serious negative results, he said. When Sichuan vice Party secretary Li Chuncheng was announced as being under investigation, overseas analysts believed his case would involve his patron, former security chief Zhou Yongkang. Zheng said he believes that Zhou’s allies will counterattack for sure. Right after Li’s case was publicized, some overseas media and bloggers spread rumors that Ling Jihua, former Party leader Hu Jintao’s right-hand man, and his wife were arrested for investigation. This couldn’t have been a coincidence, Zheng said. In addition, just as Xi vowed to curb corruption, The New York Times published a second report on scandals involving outgoing premier Wen Jiabao’s family. According to NTD’s commentator Wen Zhao, this was not a coincidence either. “The news about a major figure is precisely timed. It can’t be random,” Wen said. The report had considerable political impact, Wen Zhao added. The New York Times’ first report about Wen was published in late October, when political forces were struggling over new staffing arrangements for the next leadership. Wen Zhao says the second report threw out a tough challenge to Xi: You said you’ll curb corruption, then will you take action against the corruption of Wen Jiabao’s family? 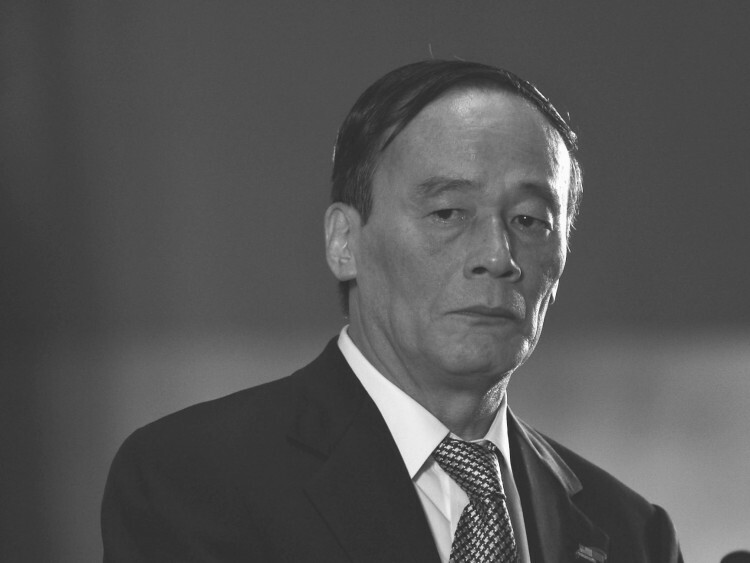 With corruption rampant in China, many netizens doubt that Wang Qishan will be able to curb it. Wang is former premier Zhu Rongji’s protege. Zhu is widely remembered in China for his determination to fight officials’ corruption. One of his sayings was: “I’ll have 100 coffins prepared. Ninety-nine are for corrupt officials and the last one is for myself.” But despite Zhu’s efforts, corruption grew more rampant during his tenure. A source told New Epoch Weekly before the 18th Congress that Xi’s approach to reform is to implement it from inside and outside of the Party, from top to bottom, from Party Central to the local governments, and for the first five years of his term. Political reform would be pushed forward after corruption is successfully curtailed.